I really can’t blame them for the confusion - it has become quite trendy to use words like “green” “sustainable” or “organic” without any real accountability and for most consumers it is hard to know what companies really mean by these claims. So, as you shop this holiday season (and beyond), we’ve put together a list of 10 ethical shopping terms you should know. If you’re unsure if a company’s claims are true, you can use these definitions to help guide your questions and research. Fast Fashion - It’s just what it sounds like: an approach to design and production that is all about keeping costs low and trends speeding along. In order to produce at this rate for such cheap prices, factory workers are underpaid and overworked, quite often in dangerous conditions. Not to mention the vast amount of overproduction, waste, and harm to the environment. Slow Fashion - The intentional opposite of fast fashion. For fashion companies this means producing less items more slowly and for consumers this means slowing down consumption. Slow fashion encourages investment in high quality pieces that not only truly express your style, but that will be your companion for many, many seasons of your life. Ethical - This term primarily refers to the treatment of the people involved in making clothes. When companies call themselves “ethical” it can mean anything from simply adhering to local labor laws, to offering a pleasant work environment and living wages. The heart behind ethical fashion is all about maximizing benefits and minimizing harm. Our mission at YIREH is to encourage every person we come into contact with to live their best life possible and this really does extend to everyone involved in bringing YIREH to life. Humanities over profits. Every time. Fair Trade - Fair trade addresses power imbalances and injustices in trade relationships between producers and consumers. Fair trade products often have a higher price tag in an effort for makers to earn a better living and offset those imbalances of power. Sustainability - The effort to do as little harm or damage to the environment as possible during the designing, producing, and consuming of clothes. This includes the manufacturing of the materials, the production of the actual garments, to the shipping and packaging all the way to consumers. Living wage - A living wage is fair compensation that allows makers to earn at a rate to escape and stay out of poverty. This wage is dependent upon many factors, including number of family members, nutrition, and basic needs like shelter and education. Cruelty free - This term can get fuzzy depending on the specifics, but generally refers to products and ingredients free from animal testing. Some companies may still use this term if the final product has not been tested on animals or if a supplier did the testing for them. If you’re unsure, do some digging or ask! This does not mean the same as vegan, as the product may actually contain animal products like honey or lanolin. Transparency - Freely and publicly sharing information about products and manufacturing process. You may have noticed that transparency is really important to us at YIREH. 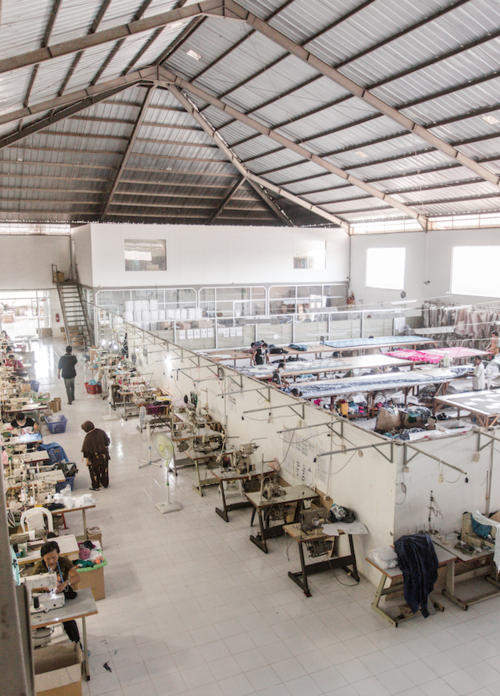 We’re open about our process, introduce you to our factory workers, and are honest about areas where we need to improve. If you ever have any questions, please ask and we’re happy to share. Socially Conscious - To be socially conscious is to put people and the planet first and to establish positive relationships with the communities and physical environments where products are made. The goal is to encourage consumers to be conscious of the impact of their purchases and to be intentional with where and how their money is spent. Organic - An organic product is made (to some extent) without the use of artificial chemicals, fertilizers, or pesticides. There are varying certification processes. But organic does not equal ethical. So how does YIREH measure up when considering these terms? Well, we’re committed to educating consumers about the dangers of fast fashion and consider ourselves a slow fashion brand. We operate ethically, selling fair trade goods, and paying living wages. While we make many small efforts to be sustainable (like eco-friendly packaging, sewing extra buttons to excess fabric instead of plastic bags, not sending paper receipts, etc. ), we’re still working on this and are making efforts to improve. All of our products are cruelty-free and vegan. We currently primarily produce in rayon, which is a regenerated fiber and does not qualify for organic certifications, but we’ll be working with some natural fabrics in the near future and know that sustainable and organic materials are important to our YIREH fam. Most of all, we strive to be socially conscious in every step - always choosing humanity over profits and spreading love and positivity everywhere we go.